Relatives of three people killed in the November shooting rampage inside a Texas church are suing a sporting goods chain that sold two firearms to the gunman. 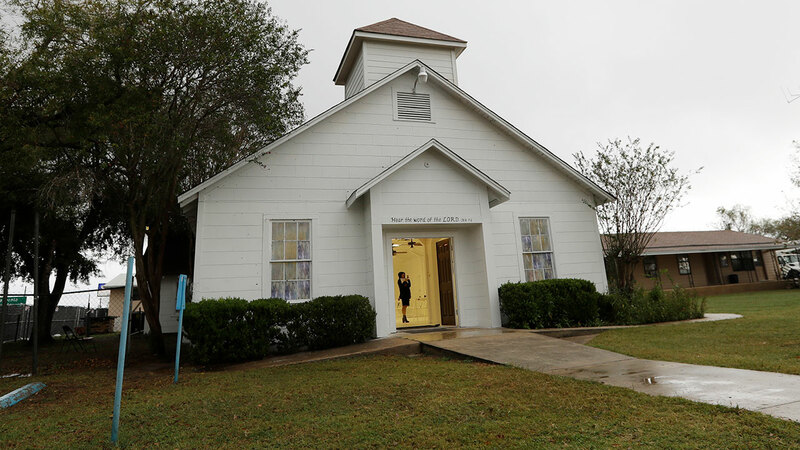 SAN ANTONIO -- Relatives of three people killed in the November shooting rampage inside a Texas church are suing a sporting goods chain that sold two firearms to the gunman. The lawsuit filed Wednesday seeks $25 million in damages. It alleges that Texas-based Academy Sports & Outdoors was negligent in selling an AR-556 rifle to Devin Patrick Kelley. The weapon was used in the Nov. 5 attack. The lawsuit was filed in San Antonio by the family of Joann Ward. She and her two daughters were among the more than two dozen people killed in the attack. The sporting goods retailer released a statement offering condolences to the victims but said it complied with all laws. The company previously confirmed Kelley purchased two firearms from two of its stores in San Antonio in 2016 and 2017.